Welcome to the Atelier Web internet site. Atelier Web is a software development and consultancy firm established in 1999. Our products and custom solutions may be found in organizations in five continents, including many well known companies, state departments and institutions, as well as in thousands of smaller ventures. We invite you to stop in to get acquainted with our user-friendly and cost-effective software and to join our family of satisfied customers who know what it means to have dependable and easy-to-use products. We hope you find something of interest and look forward to working with you. 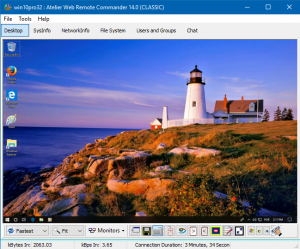 AWRC, the original Remote Commander, has its release 14.0. Solid like a rock, with almost 20 years of accumulated experience, but modern and young in nature and completely in line with the new times. Launched April 10, 2019. The new AWRC Pro 13.3 is an important update featuring improved performance and new functionalities. 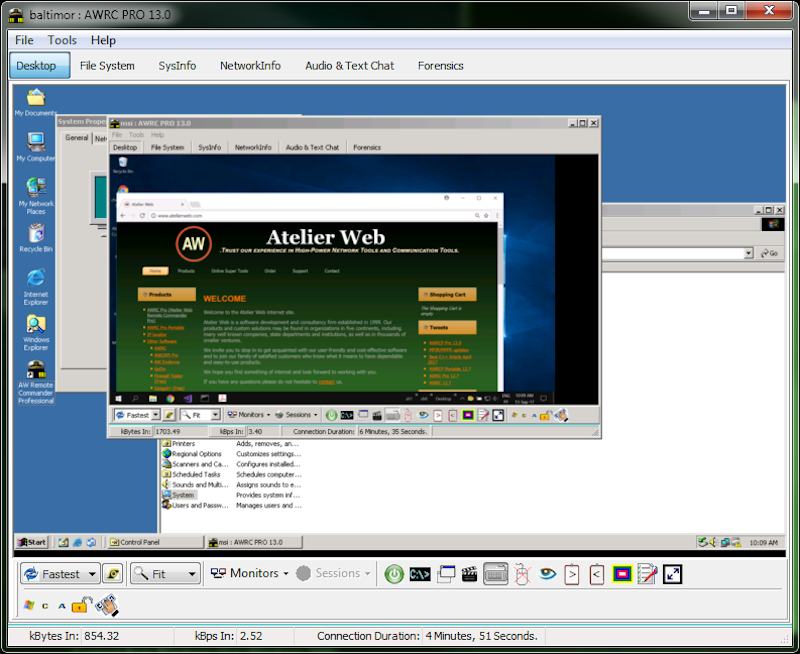 This is a high-end software for technicians that need nothing less than the best – because they need full power and as much information gathering capabilities as possible when accessing a remote computer. It does not require the previous installation of any piece of software on the remote computer and leaves it completely clean. It may run completely stealth, broadcast its operation or require authorization, depending on the Organization’s policy. It is extremely easy to use, you are up and running in one minute. Almost every user considers it the most powerful and complete remote access software in the World, those that don’t fail to mention a better alternative. This is not a hacker tool; you will need Administrator privileges on the remote computer to access it. As you will find, AWRC Pro has so many first-class features that allow you to perform much more on the remote computer than an empowered Administrator seated at the console of the remote computer can only dream about. Click on this link to see a table comparing AWRC Pro with other remote access software. 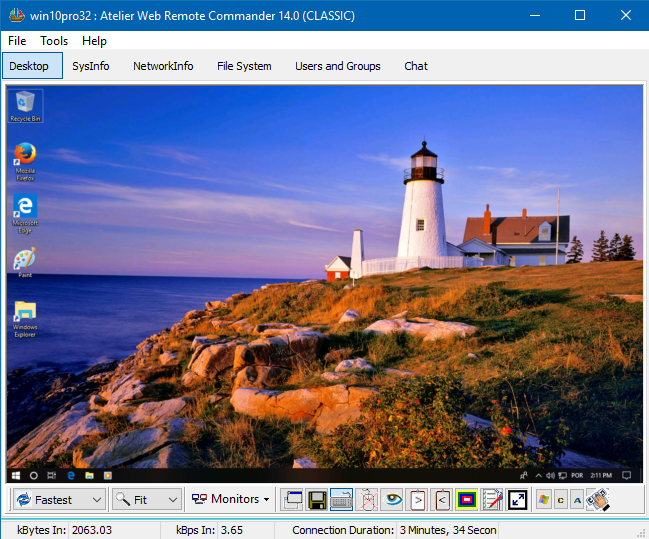 Connect at top speed from a Windows 10 computer to a Windows 2000 computer and vice-versa, or between any operating systems in between, including all server releases. This is really amazing – these days many publishers only develop bloated sluggish software for Windows 7 and above. AWRC Pro is used by Security and Intelligence entities, Schools and Universities, Manufacturing, Banks, Hospitals and thousands of other organizations covering almost every field of human activity. 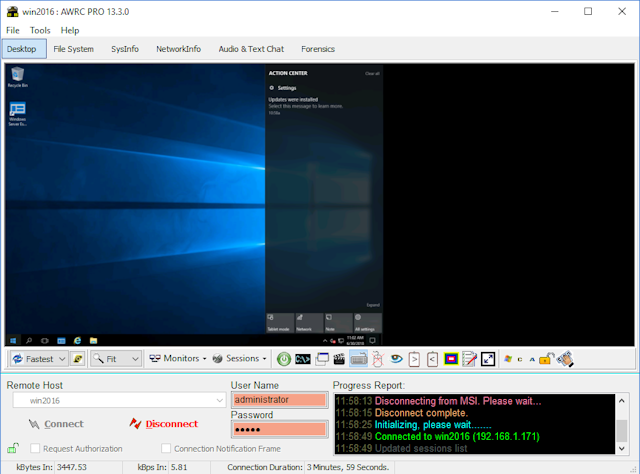 PS: AWRC Pro (and the junior-level AWRC) are the only pieces of software in the World that allow you to connect and control a remote computer without installing any software on it. Just point and shoot. Connects clean, leaves clean, nothing is left on the remote computer. IP locator 4.0 resolves both Ipv4 and Ipv6 to Country/City/Region and ISP from a database of 28 million IP ranges. Queries run at an amazing speed of 300 to 400 searches per second. The data mining engine has been reviewed and improved.